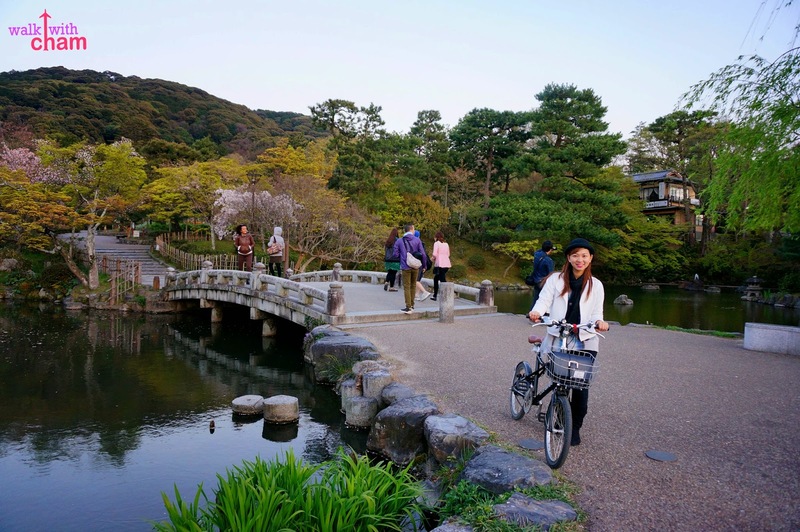 Biking in Kyoto is very common, you will see numerous locals and tourists making their way along the streets of Kyoto via their bicycles. 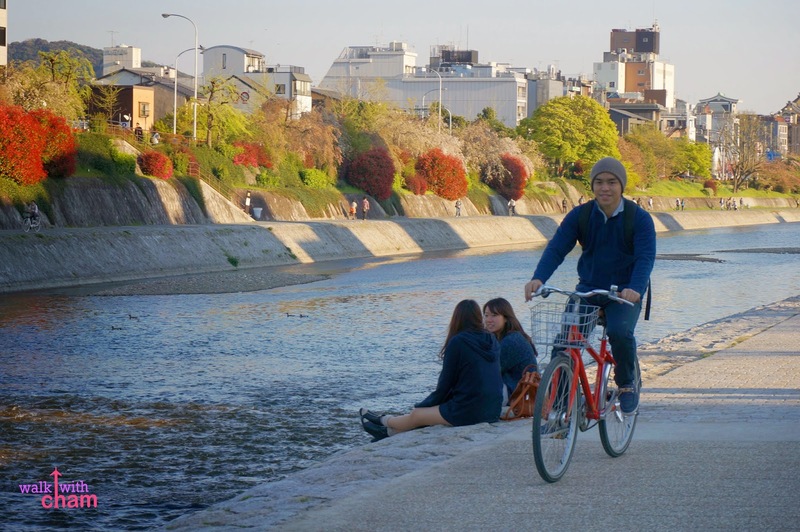 It is because one of the most accessible & economical mode of transportation in Kyoto is bicycling which can save you time and money. 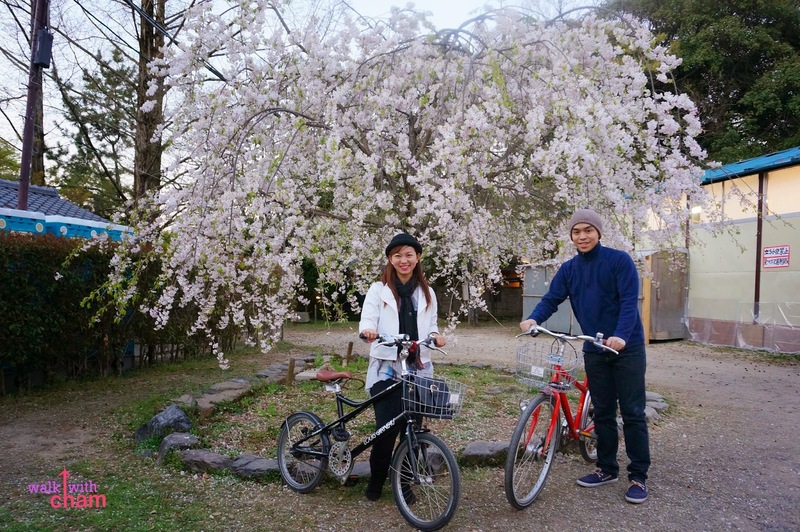 After visiting Nara, we were supposed to go to Eigamura Studio Park but because it was already late (we arrived in Kyoto Station at around 2:30 pm) we opted to tour Kyoto Central via bike. 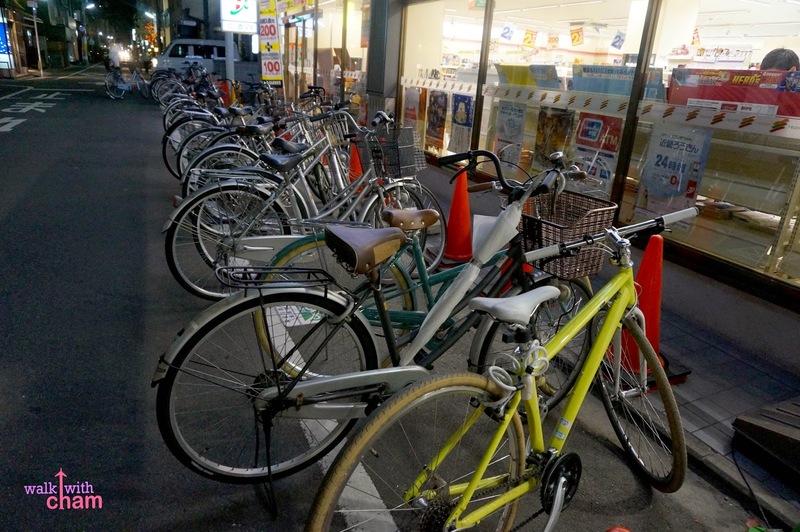 We asked our hotel staff where the nearest bike rental was and he directed us to Rent a Cycle, which was just a few blocks away. 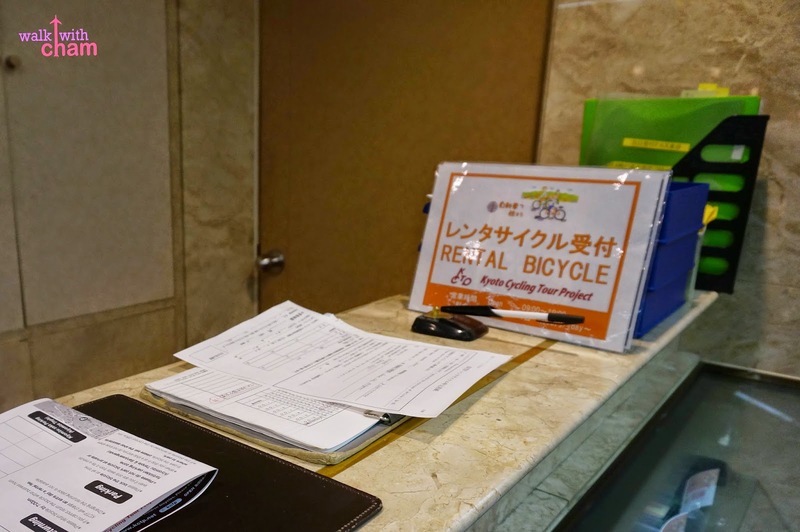 Rent a Cycle offers different types of bikes depending on the guest's preference. By the time we rented only a few types were available- Comfort Bike, Mini Velo both for Y1,300 (P566) and Mountain Bike for Y1,500 (P653) that's for the whole day from 9am-7pm. 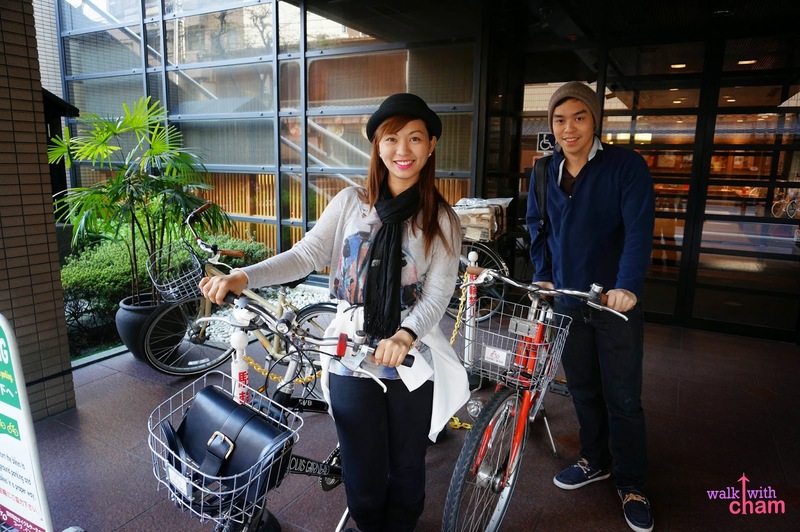 You can also rent helmets, backpacks, raincoats and baby seats. 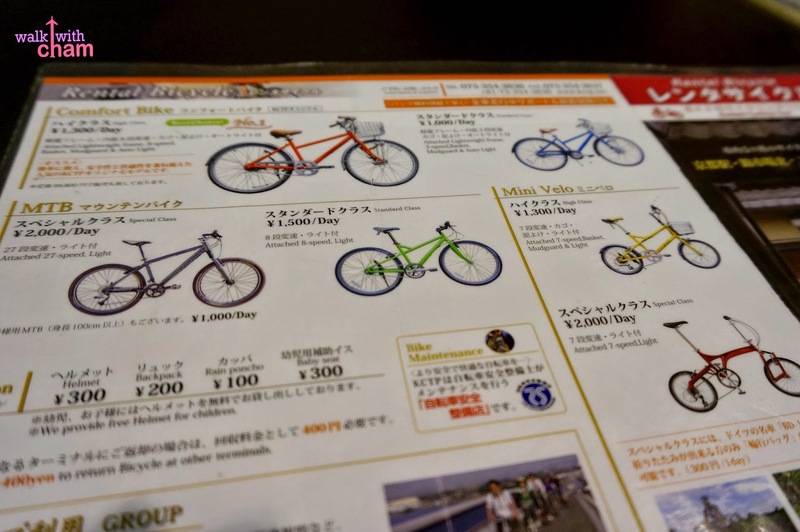 As for us we rented a Comfort Bike for Mike and a Mini Velo Bike for me. 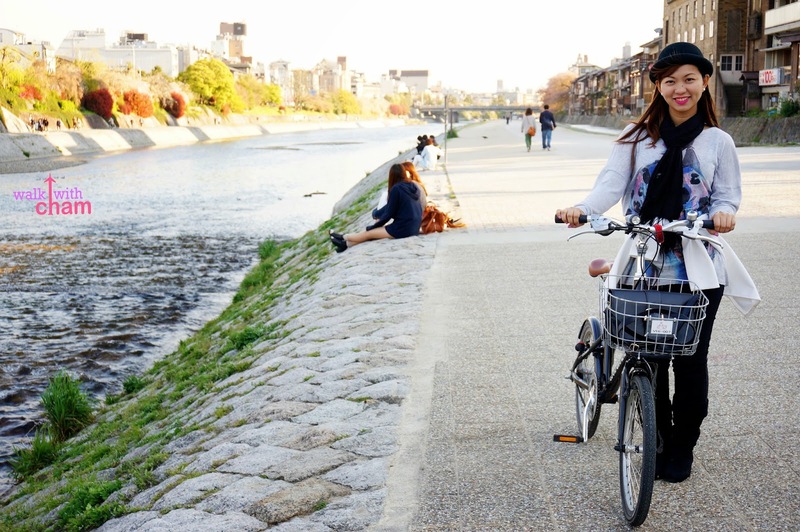 Kyoto is included in the 5 best biking cities in Asia. We saw why, the roads are flat, the traffic is organized & they have bike lanes almost everywhere. 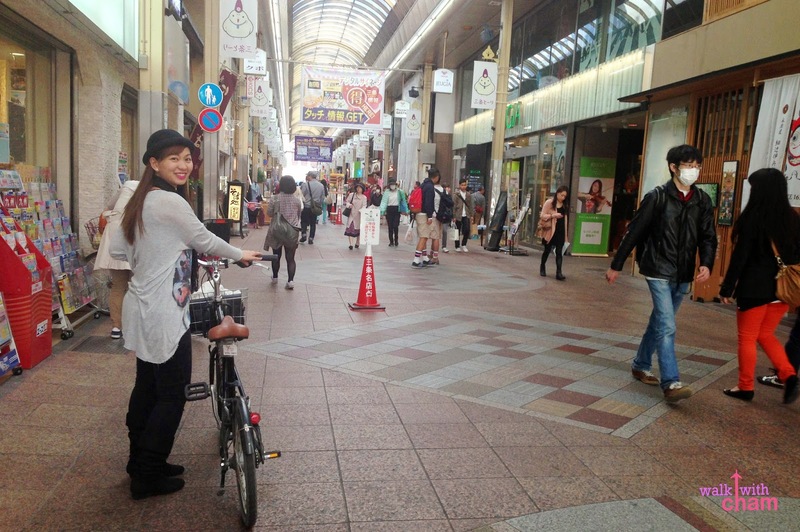 We passed by Teramachi, a place where you can see a number of shops & services of different varieties. Here in the area however, it's not allowed to bike. Mike & I started biking around the beautiful area of Kawaramachi where the sights and sounds of the stream and the beautiful layers of trees were relaxing and picturesque. 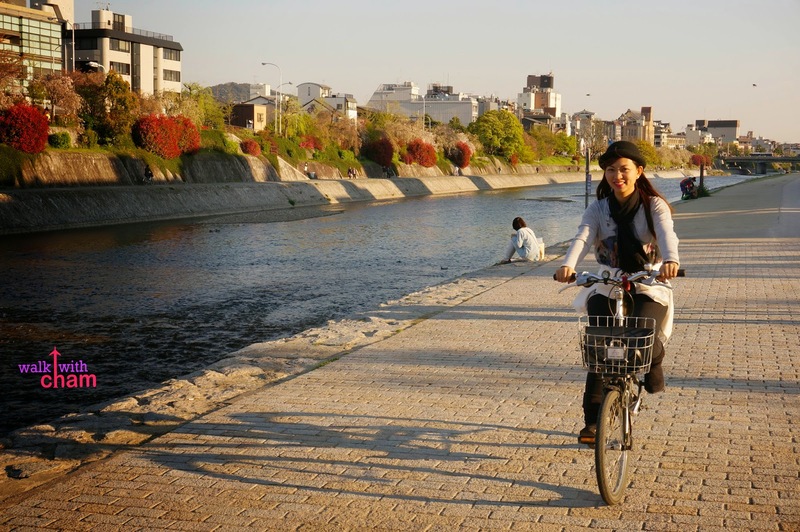 Then we biked along Kamogawa River, it has a beautiful contrast of old Japan on one side and modern Japan on the other. 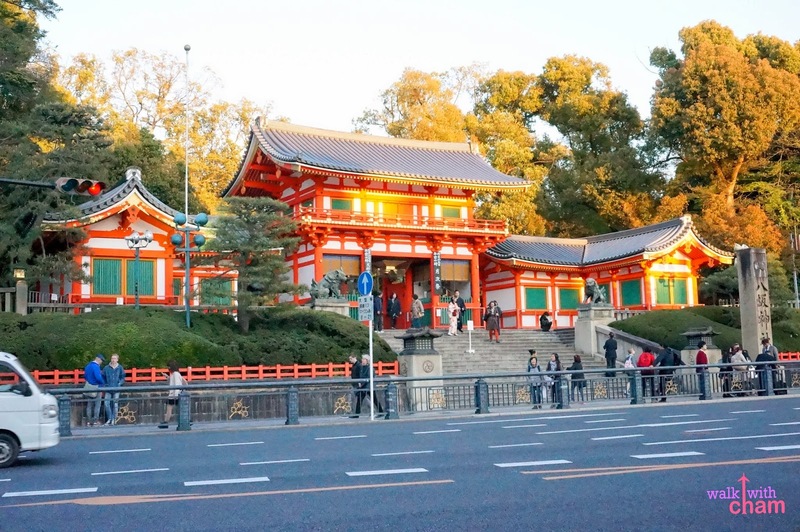 We passed by Gion and visited Yasaka Shrine, it is where the beginning of the Gion Festival occurs which still plays a central role in the festival today. Oh well, at least the view of the park was breathtaking. 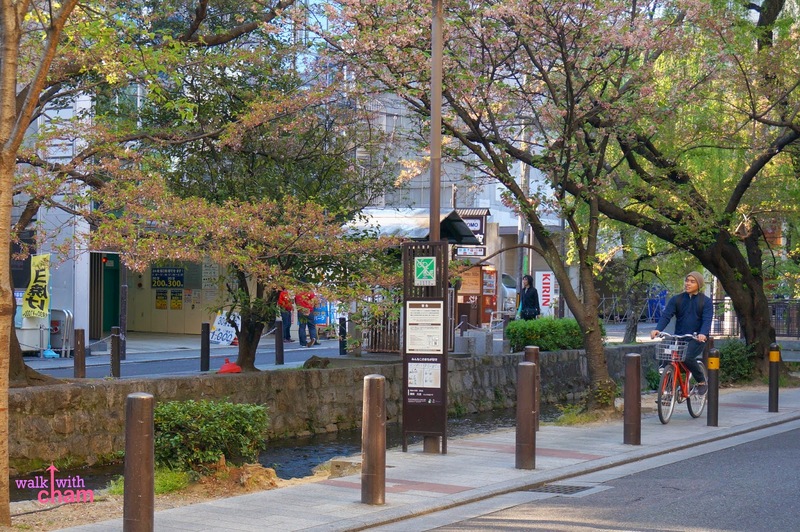 Biking is such a fun way to explore the city of Kyoto, I don't think we can visit these places if we just walked. After Maruyama Park, Mike insisted to go back because it was already 20 minutes before our cut-off time (we didn't want to return the bikes late). 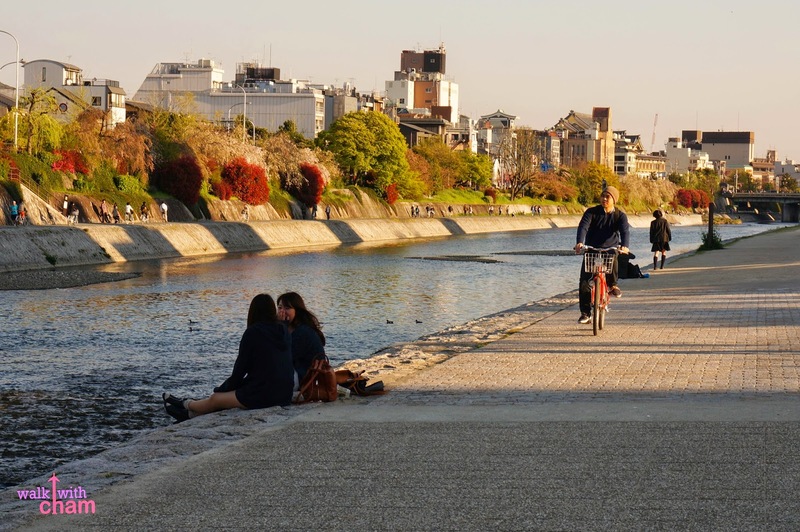 So we biked our way going to the Rent-a-Cycle hub, passed by Gion, Kamo River, Kawaramachi, Teramachi then finally we're back right on time. And then suddenly Mike panicked! 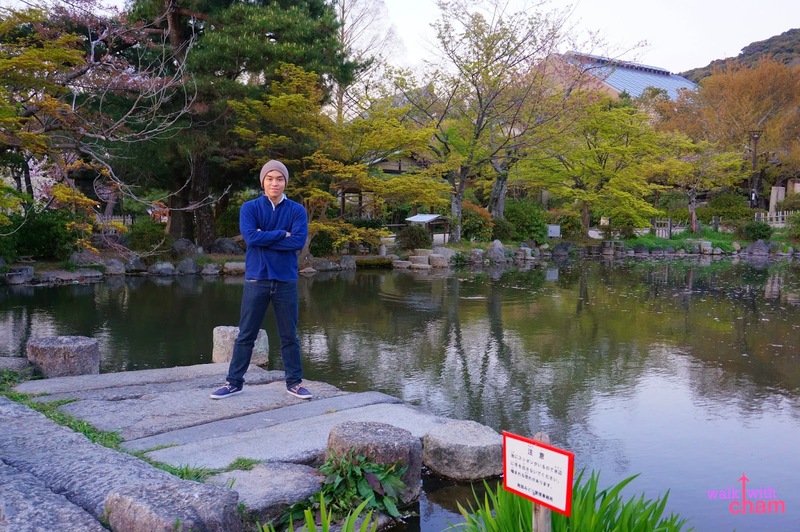 He just realized he left his backpack at Maruyama Park! 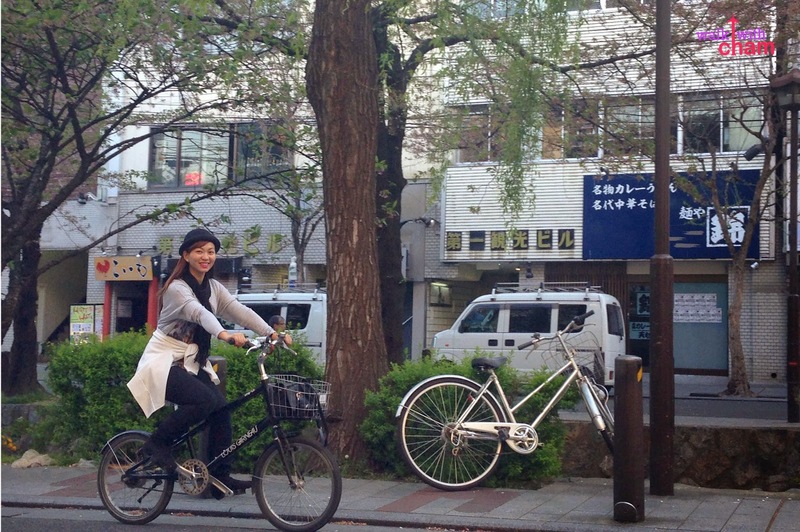 So I pleaded the concierge if we can borrow the bikes for one more hour and gratefully they said yes. 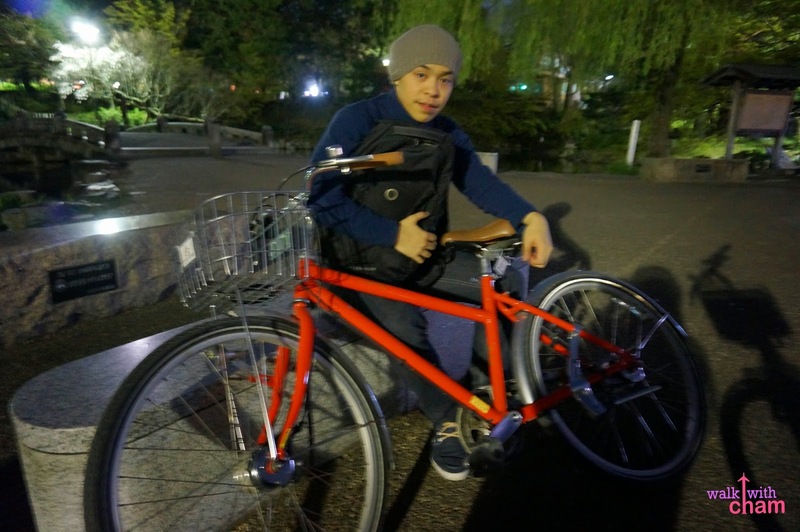 So we biked again going to Maruyama Park and this time we biked really fast (my heart was pounding fast too) hoping that his backpack was at the same area where he left it. And guess what? It was still there, complete and untouched. Our hearts were bursting of emotions. I even cried a bit, a mixture of happiness and fatigue I guess. It proved me that Japanese were really nice. I love them! 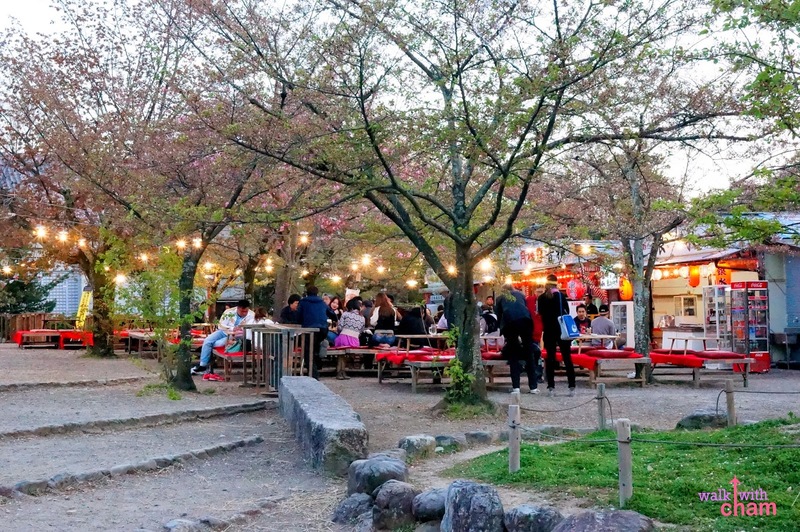 After the incident, we rewarded ourselves to a hefty Japanese dinner. We deserved it!